One of the interesting trends in board game mechanics is asymmetry. Asymmetry simply means the different players have substantially different capabilities. In extreme cases, the different sides even play by completely different rules. Asymmetric games require smart design effort and significant playtesting to ensure game balance. For players, though, asymmetry can be more fun, allowing individuals to pick factions which suit their play style. I classify asymmetry in competitive games as fully asymmetric, lightly asymmetric, and player-created asymmetric; this post talks about fully asymmetry in board games, in which eacy faction or role play unlike any of the others. Co-0p games afterward, which are a different beast altogether, and will be discussed separately. Note that these definitions are entirely my own; real game designers likely have their own set of definitions. In a completely asymmetric game, each faction plays with a completely different set of rules. Complete asymmetry presents a tough design challenge, since ensuring balance requires thorough vetting of the factions through playtesting. Two player games offering completely asymmetric factions are more common. 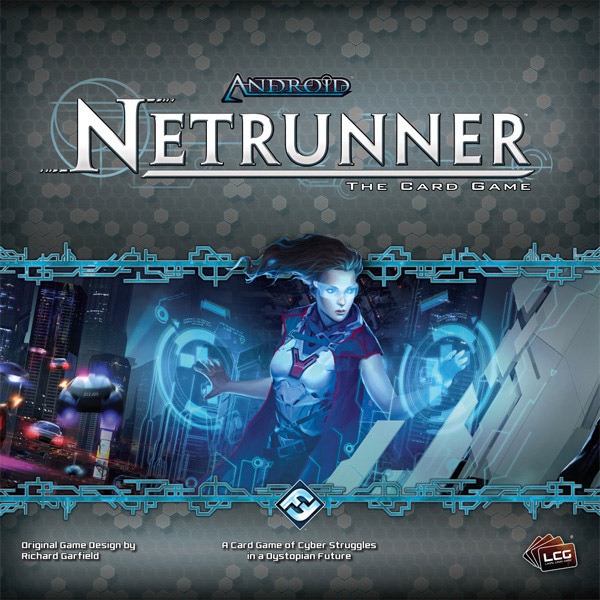 The classic example of a two player game which is completely asymmetric is Android Netrunner, set in a dystopian universe in which hackers try to steal data from megacorporations for profit and glory. Netrunner’s two factions, the corporation and the runner, work from completely different rules. The corp player tries to defend vital data stores from intrusion by the runner. While the nature of the corp player’s role is defensive, the game gives corp players cards which allow the corp to attack the runner. The corp also has much of its data hidden. The runner needs to probe the hidden information — face down cards — which may be valuable data, decoys, or traps. Netrunner works amazingly well. The hard work happens before the game, as you build your decks. Several sites dedicate themselves to dissecting every card and combination to create optimal decks. Those are great resources if you plan on playing tournaments, but the base game plus a couple of expansions works pretty well for pickup games. 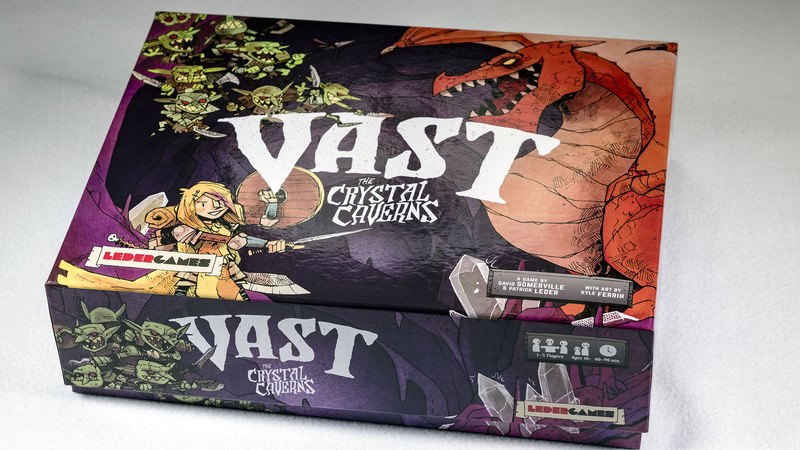 One interesting attempt at building a completely asymmetric multiplayer games is the recent Vast: The Crystal Caverns. Kickstarted in 2015, Vast supports five players, each of which plays completely differently. The factions include the Knight, Goblins, the Dragon, the Thief and… the Cave. That’s right, the cave within which the dragon lurks is a playable faction. Vast breaks down like so: the Knight tries to kill the Dragon. The Dragon attempts to escape the Cave. The Goblins job is to kill the Knight, and the Thief tries to steal stuff. Oh, and the Cave tries to collapse itself once the entirety of its interior has been revealed by placing all the cave tiles. Each player has a different rules sheet, which outlines how they play and their capabilities. Vast hangs together surprisingly well. I’m still unsure if it’s balanced or not, but in the half-dozen games I’ve played, the outcome has always been close, and only the Knight has won more than once (two times, to be exact). The Cave hasn’t won yet, but several of the games had only four players, and the global rules suggest not playing the Cave fewer than five. Other examples of fully asymmetric games exist, but these two games are important examples encapsulating how to build a fully asymmetric game. While each game includes global rules, the global rules are short, while individual players also have their own discrete rule set. Vast even includes a separate sheet of rules for each individual player, so the main rule book doesn’t need to be constantly passed around between players. If the two games, Netrunner is more complex, with its hundreds of cards and multiple types of decks for each of the two factions. Vast is much more accessible; however, the game sold out quickly, with a reprint not due until the end of the year. Not all asymmetric games begin with full asymmetry, however. Quite a number of games let players build up their roles during the game, creating asymmetry on the fly. We’ll take a look at a few of these in a future post.